Samsung offers a complete range of high performance, H.264 DVRs that are designed to provide high quality images while conserving storage and network resources. From the economical 4 channel models to the full-featured 16 channel, Samsung has a DVR to meet any application requirement. The SRD series features real-time playback and each unit is capable of recording real-time 4CIF images across selected channels, if not all channels. 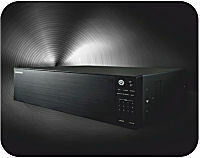 Convenient back-up is possible with all SRD series DVRs. 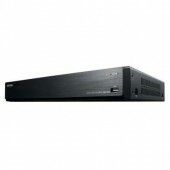 16CH 960H Real-time DVR - Up to 480(N) / 400(P)fps recording rate. Easy user interface, common across all Samsung DVRs - GUI / Search / Back up / Set-up. Set independently for each channel - REC / Quality / Resolution. Privacy mask support each channel (4ea). Convenient network monitoring - Web viewer, SSM, SmartViewer, iPOLiS smart phone app. USB (2ports) back up.